The Senate Committee on Commerce, Science and Transportation is one step closer to doubling the number of members who sit on the Surface Transportation Board. The committee convened a hearing April 11 to consider Patrick Fuchs and Michelle Schultz to serve as members of the board. They were nominated by the president. The STB, created by Congress in 1996, is a regulatory agency that oversees railroad rate and service issues. Sen. John Thune (R-S.D. ), chairman of the committee, said he and his colleagues will try to confirm the nominees after they have answered lawmakers’ remaining questions, which will be submitted on the record. Thune’s sense of urgency may be partially explained by the STB’s short-handedness. Although the STB is authorized to have five members, it currently has two: Chairman Ann Begeman, who has served on the board since 2011, and Vice Chairman Deb Miller, who was sworn in as a board member in 2014. Delays in service and congestion were some of the most pressing concerns lawmakers brought before the nominees. 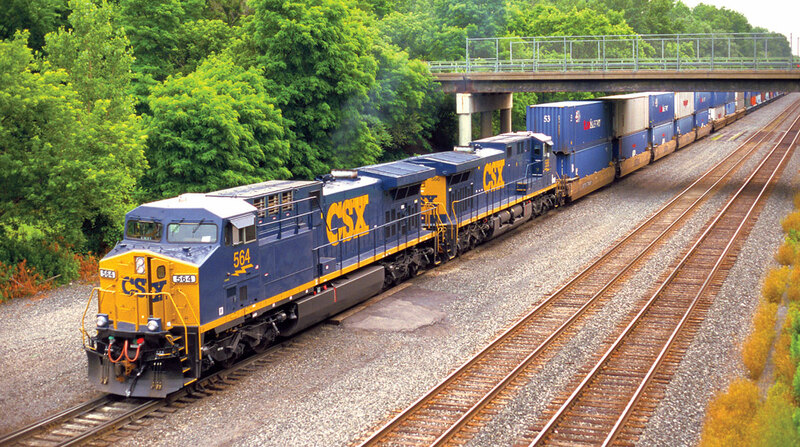 Sen. Gary Peters (D-Mich.) said that the serious problems within the rail industry in turn affect other industries. For example, he said delayed trains carrying vehicles or automotive equipment creates a backlog for auto manufacturers, one of Michigan’s top industries. Sen. Maria Cantwell (D-Wash.) mentioned a particular concern for agriculture haulers, whose cargo can spoil or perish if trains are delayed. According to the Washington State Department of Agriculture, apples were the state’s highest grossing commodity in 2016, followed by milk, potatoes and cattle. The STB was a branch of the U.S. Department of Transportation until a couple of years ago. The STB Reauthorization Act, signed in December 2015, established the board as a completely independent federal agency. Fuchs, who works on the Senate Commerce Committee for Thune, helped draft the STB Reauthorization Act of 2015. Schultz currently serves as deputy general counsel at the Southeastern Pennsylvania Transportation Authority, the sixth largest provider of public transportation in the country. She previously worked as a law clerk for the Superior Court of Pennsylvania and the United States Bankruptcy Court for the Eastern District of Pennsylvania. Thune said the committee received several letters voicing support for both Schultz and Fuchs. One came from the Rail Customer Coalition, which wrote the committee April 9 urging them to confirm the nominees as soon as possible. The coalition consists of over 70 associations representing manufacturing, agricultural and industrial shippers. “As the increasing number of reports of service failures and skyrocketing costs demonstrate, rail customers need a fully staffed STB committed to enacting reforms that will increase access to competitive service, streamline overly-bureaucratic procedures and improve the overall effectiveness of the board,” the coalition’s letter states.